Sometime back, I was planning to buy Flax seeds just to experiment it in egg-less baking. But I couldn't find it in any shops nearby. So, we bought it from a shop in our native during last visit. For our surprise, it was available in so many shops there! 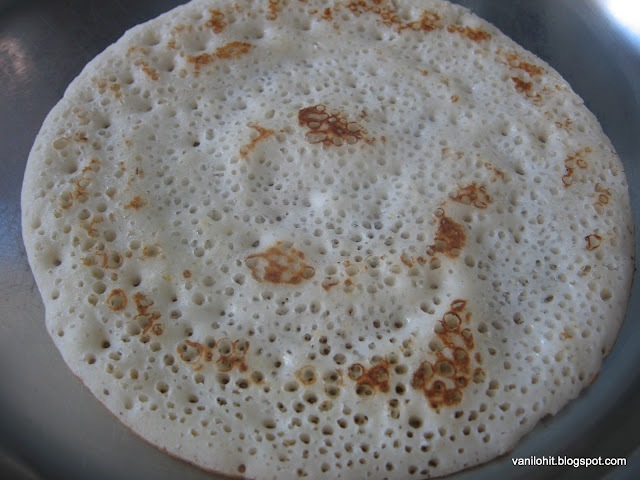 Its popularly known as 'Agase Beeja' in Kannada. Flax seeds are a good source of Omega - 3 Fatty Acids. So, vegetarians can rely on Flax seeds to get Omega - 3 Fatty Acids, which is not available from vegetarian food. 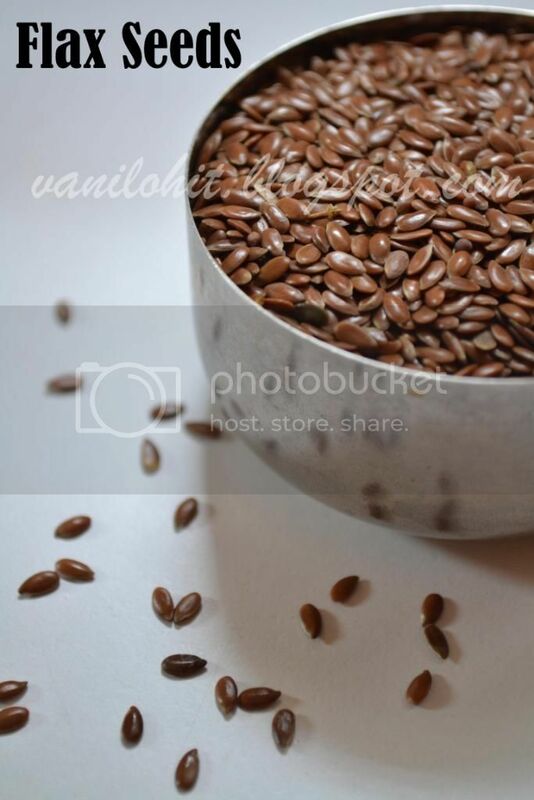 Also, I heard that Flax seeds help to control cholesterol levels in our body. Due to its health benefits, we have started using flax seeds as a part of our daily food. 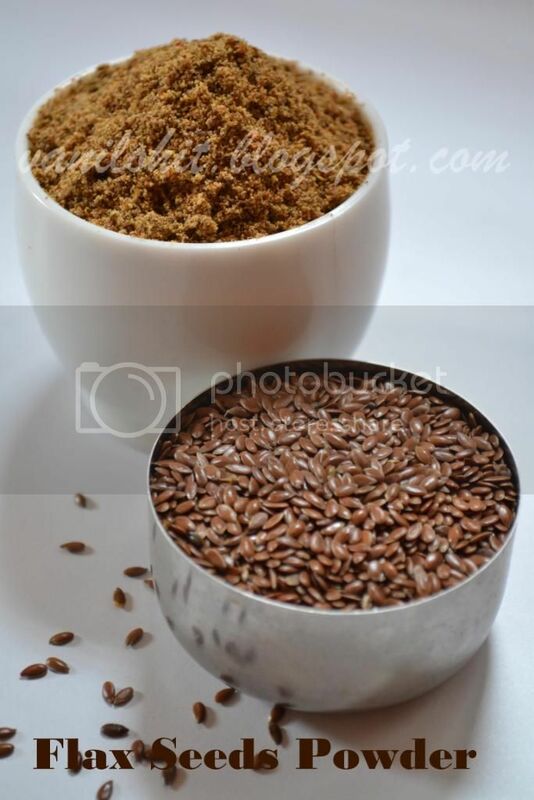 Flax seeds, when roasted, will give a nice aroma. I tried adding salt and spice to the roasted flax seeds while preparing the powder. It tasted really good with rice. 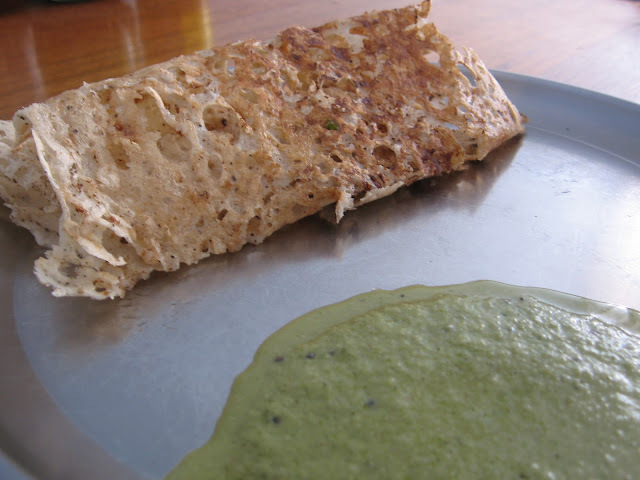 We also tried adding little curd to flax seeds powder which tasted very good with chapathi. Here is the recipe of Flax Seeds Powder which I prepared..
Take a heavy bottom pan. Combine flax seeds, red chillies and garlic cloves and roast them on medium flame. Keep mixing them occasionally. Roast them till you hear the crackling sound of flax seeds. Once it gets cool down, add salt to taste and make a fine powder out of it. Store this powder in an air tight container and use it as needed. 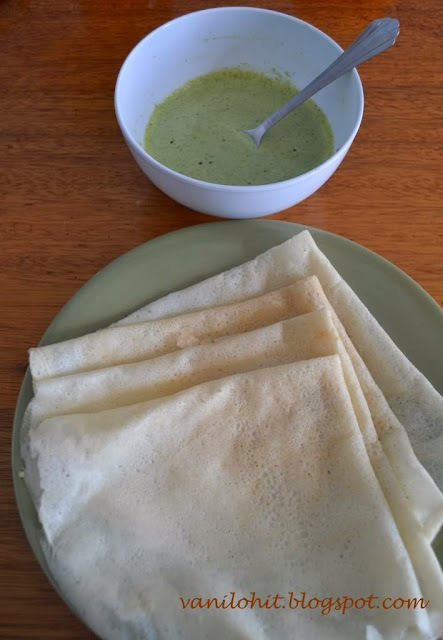 These days, its the routine at our home to have a spoonful of Flax Seeds Powder with a small portion of rice as a part of lunch as well as dinner. 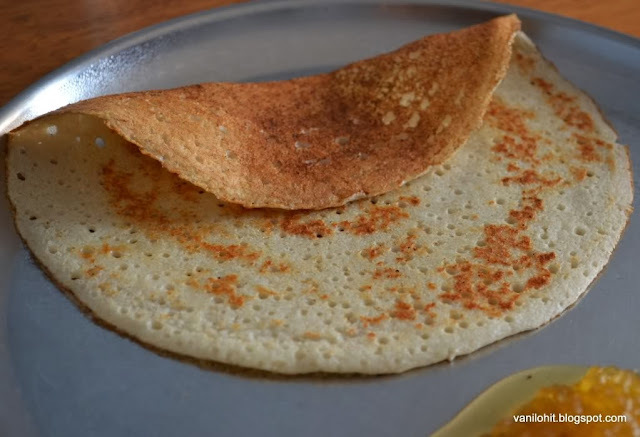 If you are a Roti fan, you can mix 1 tsp of Flax Seeds Powder with little curd and it tastes good with roti or chapathi. That looks so healthy and flavorful from the garlic.. Very new to me. Thanks for sharing. 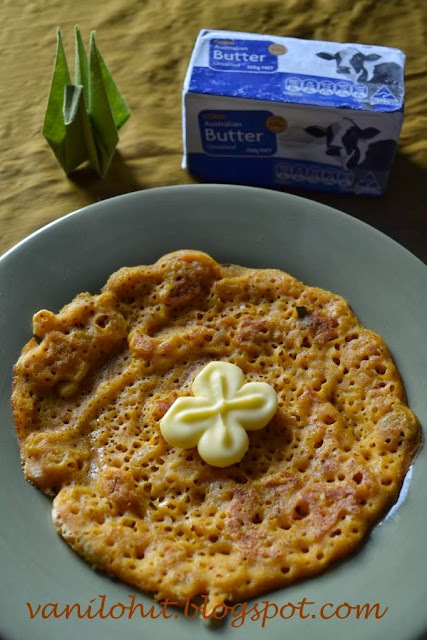 Healthy & good substitute to eggs in baking,bookmarked!! I am a great fan of this awesome seed. I use them in most of my bakings.. 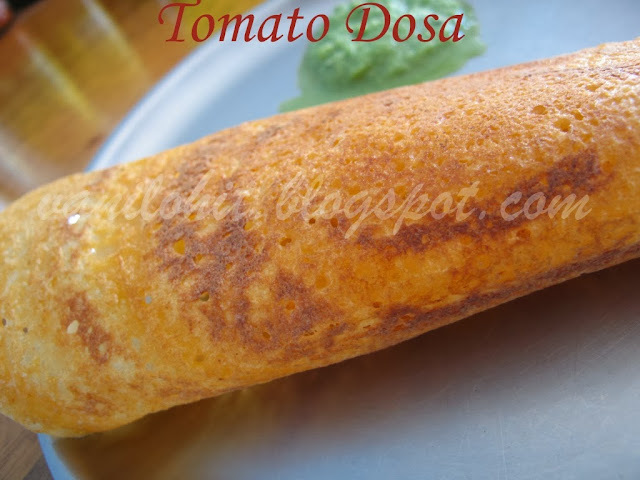 But never thought of a indian style podi.. Will try this for sure.. Bookmarked! Nice Podi. 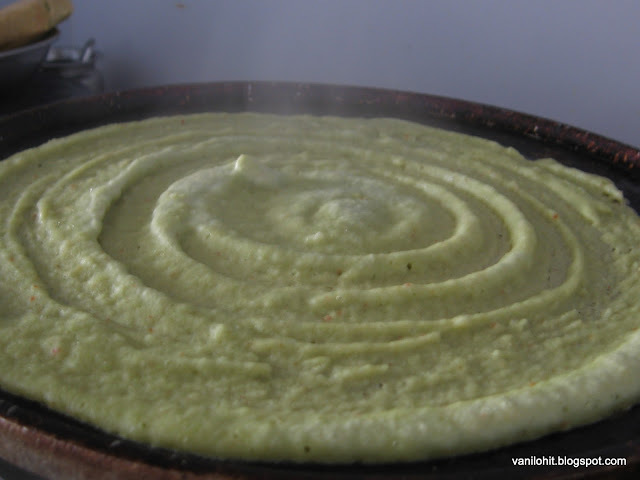 I guess it can be used as a side dish for dosa, idli or mixed with hot rice and oil too. Thanx for sharing this. My hubby's got cholesterol and I think I will definitely make this a "regular" at our household. Wow..even I need to include flax seed in my diet. Thanks for sharing the recipe. Hi Swapna, thanks for dropping in. 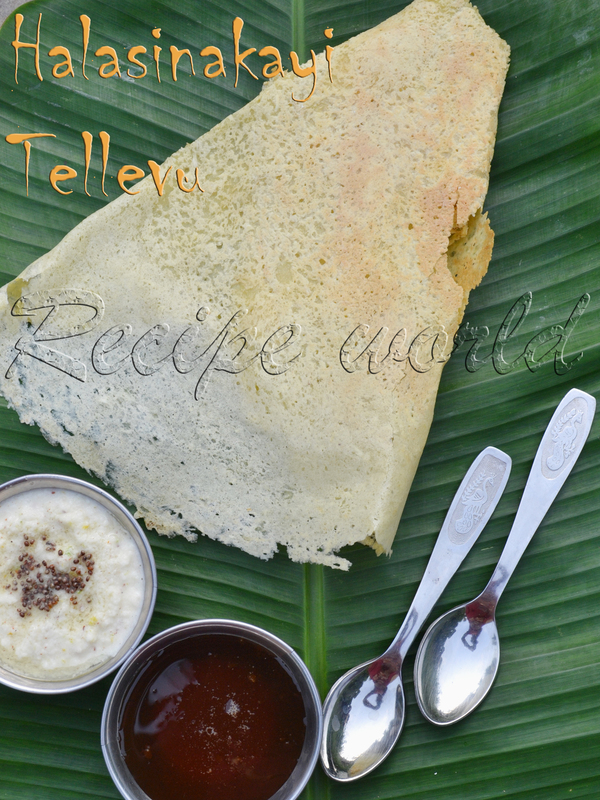 Yeah, I tried to buy in B'lore but couldn't get it in stores near to our house. Then I bought it in my native Sirsi. 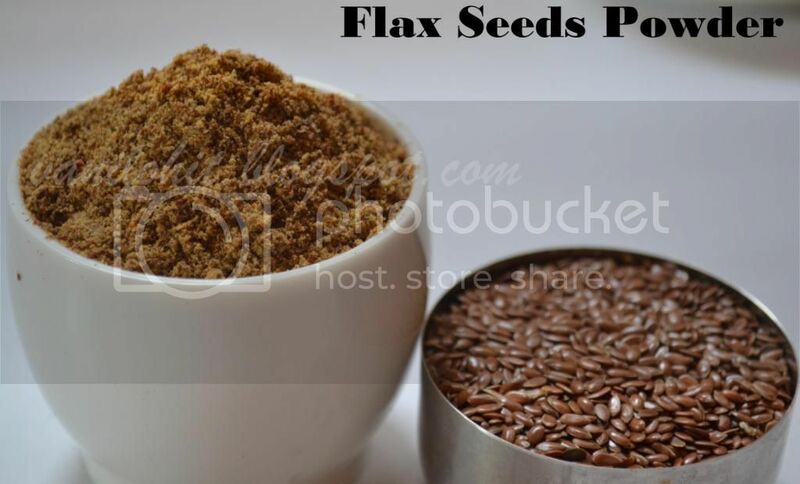 Tell simple method to have flax seeds.i don't know cooking.